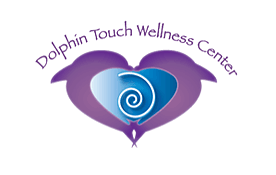 Dolphin Touch is now offering short-term room rental located in our beautiful second floor suite! Enjoy peaceful sleep while benefiting from the healing energies present in our center! Better yet, treat yourself to a personal Healing retreat. While staying in our upstairs space, enjoy the luxury of our services and array of practitioners…..try something new each day! Learn more about our Personal Healing Retreats. You can create your own spa experience!Located in the Heart of Kapaa and within walking distance of plenty of great shops, stores, Organic Health Food Stores, restaurants and more! You will be within walking distance of a breathtaking view of ocean front path. Enjoy a lovely stroll along the coastal shores where Humpback Whales and dolphins are seen on a regular basis! If you’re visiting the island for a few days or longer, give us a call and we can provide you with availability and pricing.